A final report about the i3 conference held 23-26 June 2015 at Robert Gordon University, Aberdeen, Scotland. I will say a few words about the plenary discussion sessions, and finish with some links. One of the nice features of the i3 conference is plenary discussion programmed into the conference. 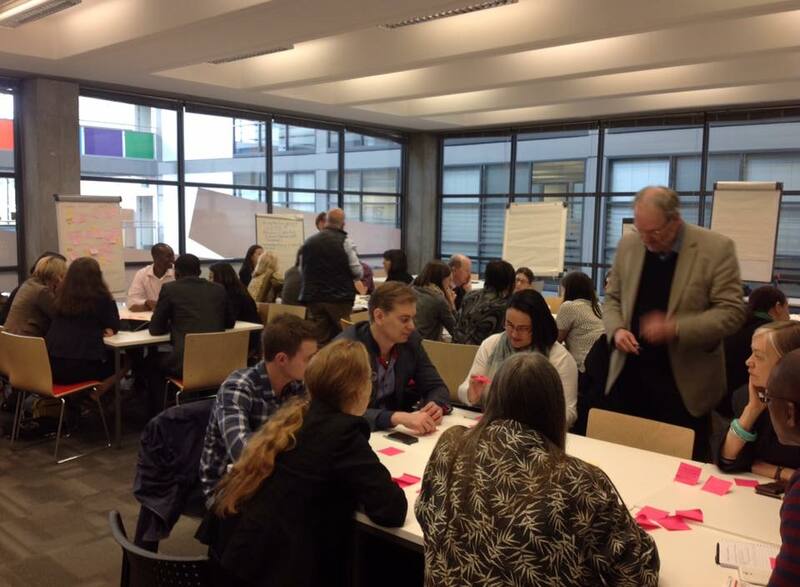 As usual, session chairs were asked to identify important research themes from their sessions, and there was a plenary session earlier in the conference where (in groups) we identified some of the important themes and questions that had emerged so far. The final plenary session brought this previous work together and bringing together key themes, goals and questions to take from the conference. Unfortunately I had to leave before the end of the session, but, from early discussions, there was one strand emerging to do with research methods, one to do with topics or research questions, and one to do with communicating research and creating impact. I realise that one of the presentations I haven’t blogged in my own! It was on “Self-reported information behaviour in a MOOC”. I am giving another presentation on MOOCs in a few days time, which will be longer than my i3 talk, so I may just put that one on Slideshare, as I don’t think it’s very useful to have several presentation on Slideshare with only marginal differences. Therefore I will also (rather belatedly) wrap up my i3 reporting at this point, with my usual links to other sources of information about the conference. The first photo is by Peter Reid, showing the plenary session. 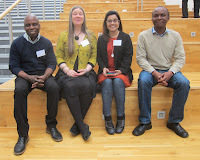 The second shows me and the PhD students who presented at the conference: l to r, Joseph Essel, me, Syeda Shahid and Kondwani Wella.